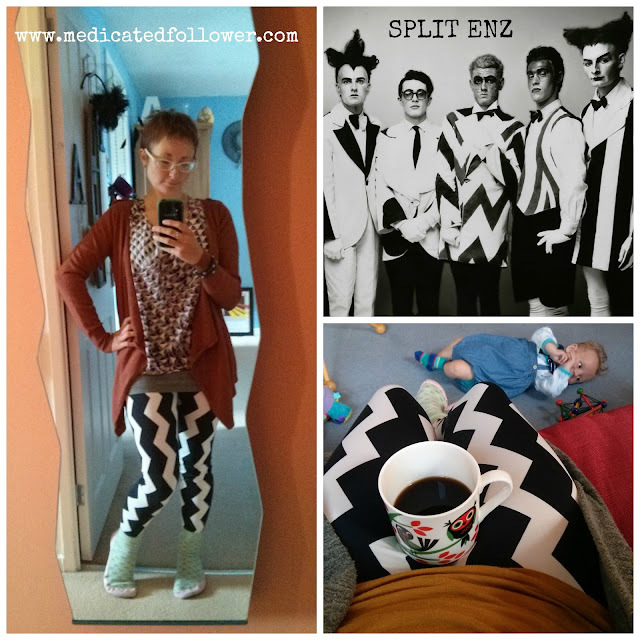 Medicated Follower of Fashion: Loving statement legs! 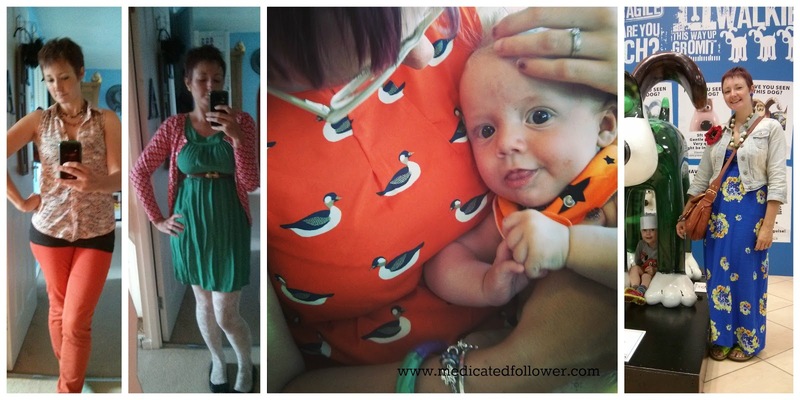 In the first few weeks after having Felix, despite having lost my pregnancy weight, I didn't have the energy to get too excited about what I was wearing. I was enjoying not being in maternity clothing and fitting back into old clothes, but that was about it. Now, a few months in, I've got the shopping bug BAAAAAAD. I've not actually made it out on a proper clothes shop, but there's online shopping, my local Asda and the charity shops to keep me happy for now. I've been buying quite a bit from H&M online because they stock current trends at such bargain prices and I'm usually pleased with the quality. Plus, I get less guilt because I always get a few things for the children at the same time (like they need it!!). I've also bought a few things from New Look online because they stock way more than my small local branch but I can get it delivered to them for free which is VERY handy. All of these are great options for a busy mum! So, what have I been buying? 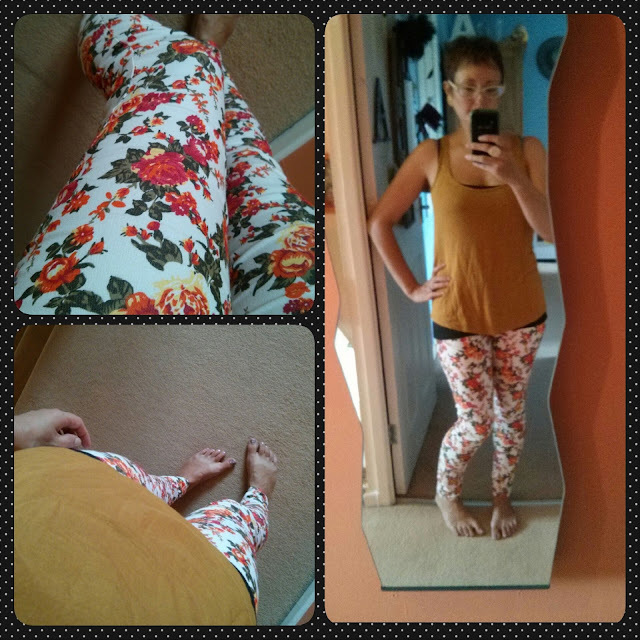 Well, in particular at the moment I'm really enjoying patterned leggings and skinny jeans. I bought a gorgeous pair of floral print jeans from New Look online last week in the sale. A nice fit and the floral pattern is ontrend. What I love about pattern is that it actually does the opposite of what you think it might. Yes, they are statement, but the pattern also distracts from bulgy areas and often has a slimming affect on your silhouette! Love it. It's nice to finally get round to writing up a style post that isn't about the boys!! Love them as I do, life is SO BUSY now. Ethan still isn't full time at school, but as of today he's there until 1:45pm and actually, that's already giving me enough time to write this up! So, hurrah!! Linking up today with Transatlantic Blonde, The Pleated Poppy and on Friday, Rachel The Hat.